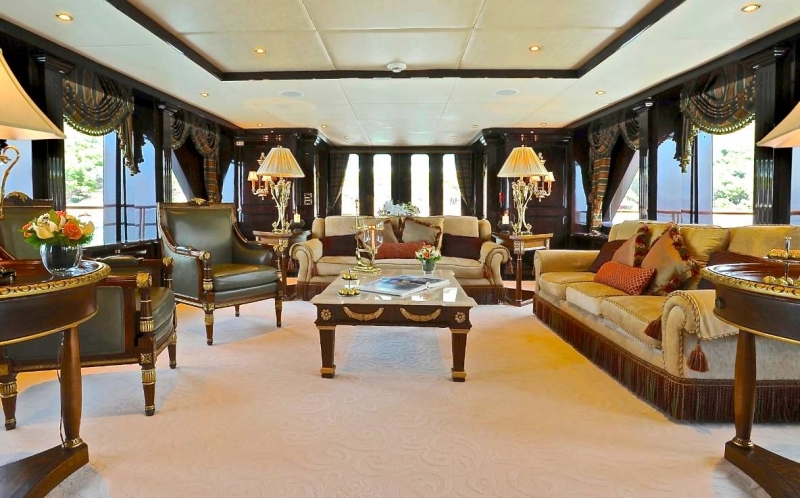 Ionian Princess’ boast an aura of elegance throughout her salons with high gloss varnished mahogany raised panels and fluted columns. 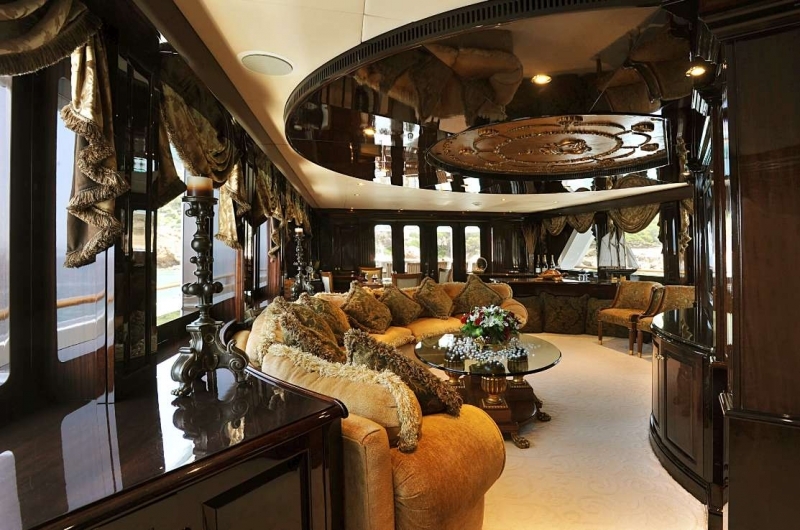 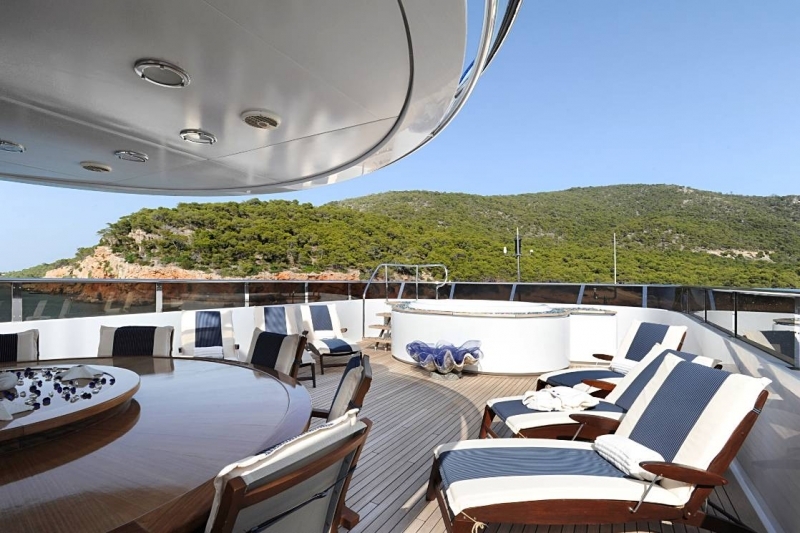 A curved stairway runs from the main luxury yacht’s deck up to her sky lounge and then up to her sun deck. 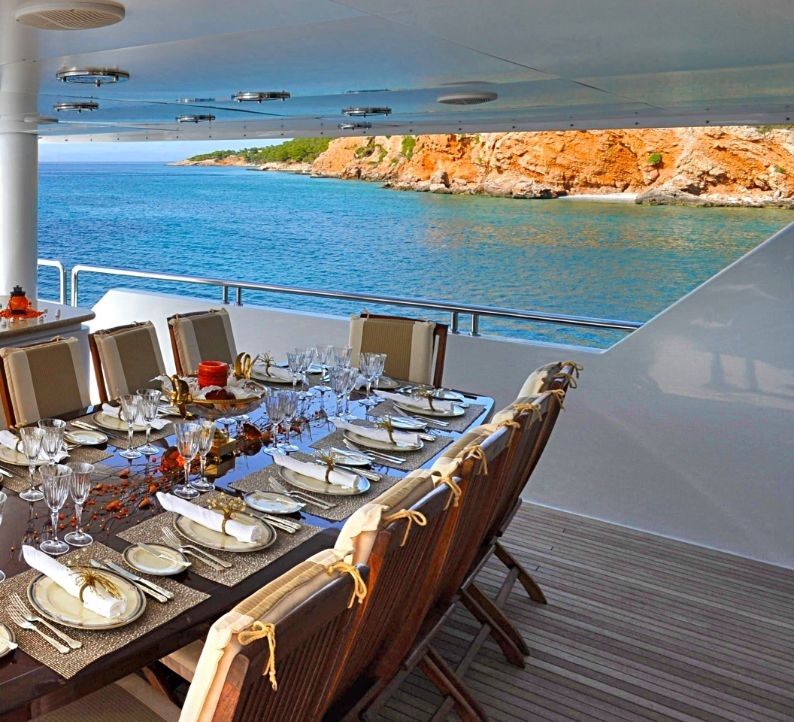 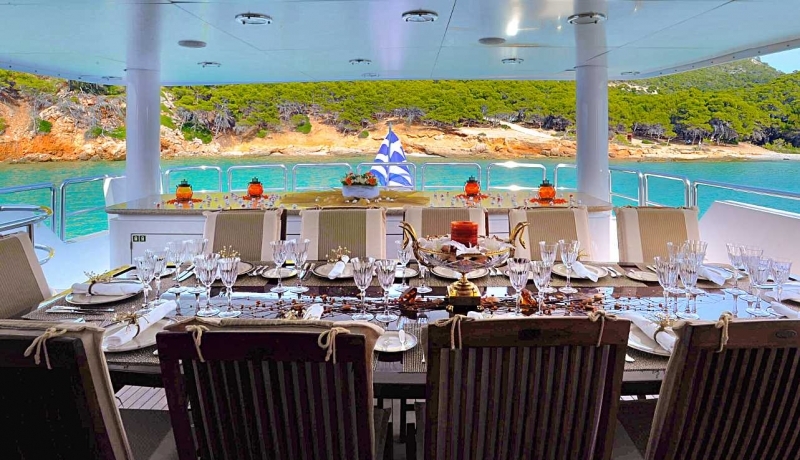 There are options to dine in any one of the three main dining areas including the inside formal dining salon, the aft deck of the sky lounge or casually on the sundeck with a barbecue. 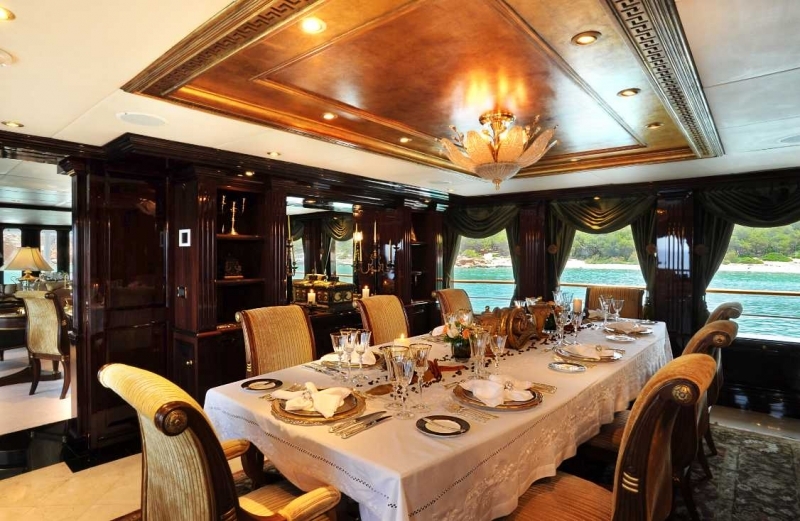 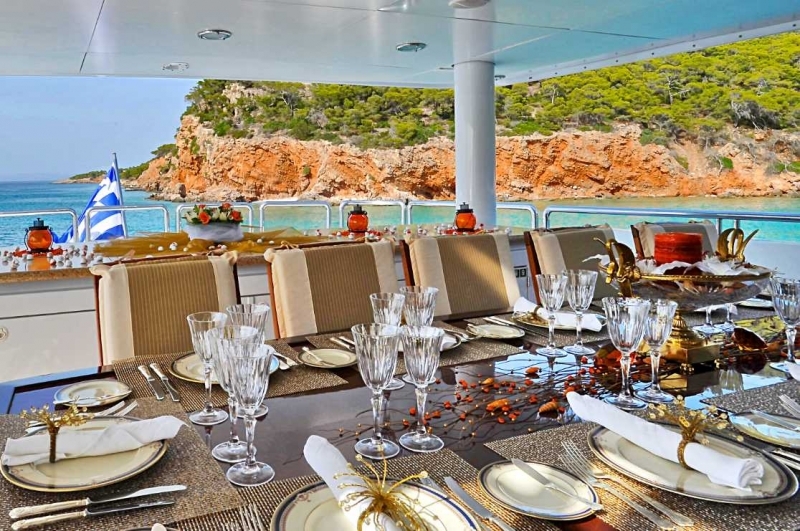 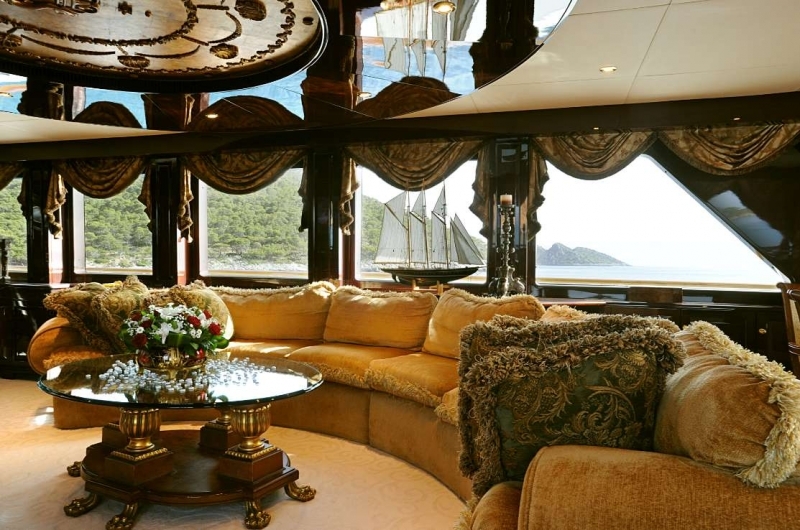 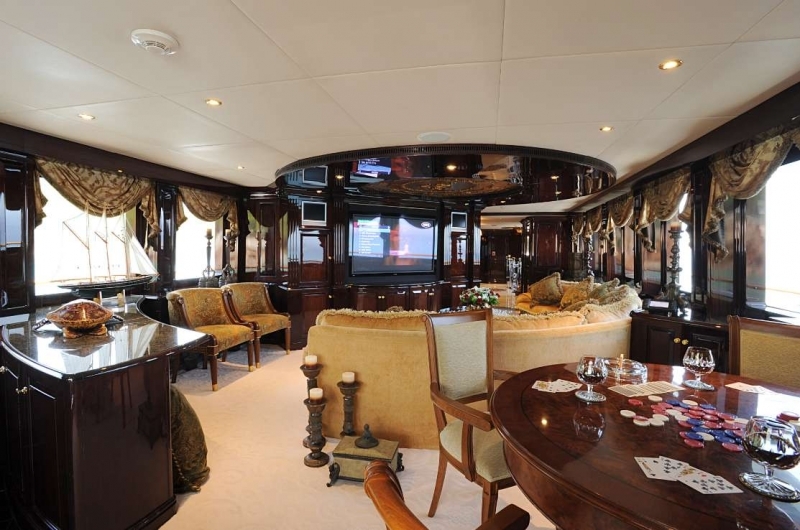 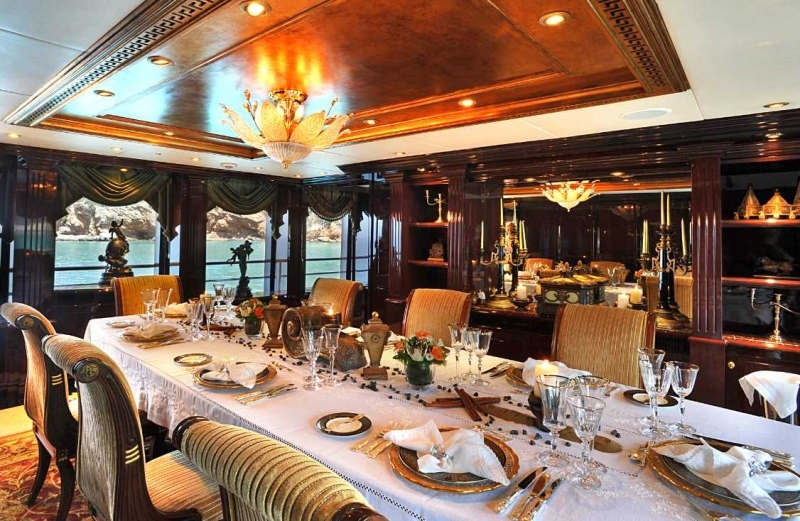 Twelve guests are luxuriously accommodated in six elegant cabins - two of which are equal masters. 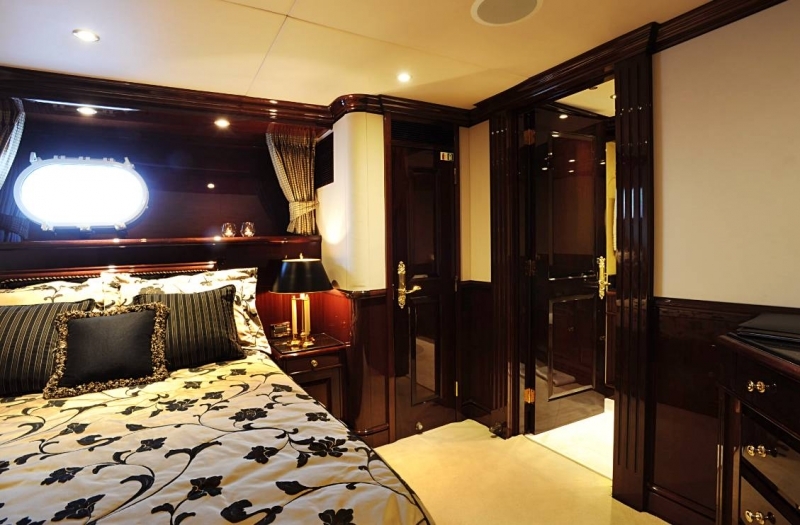 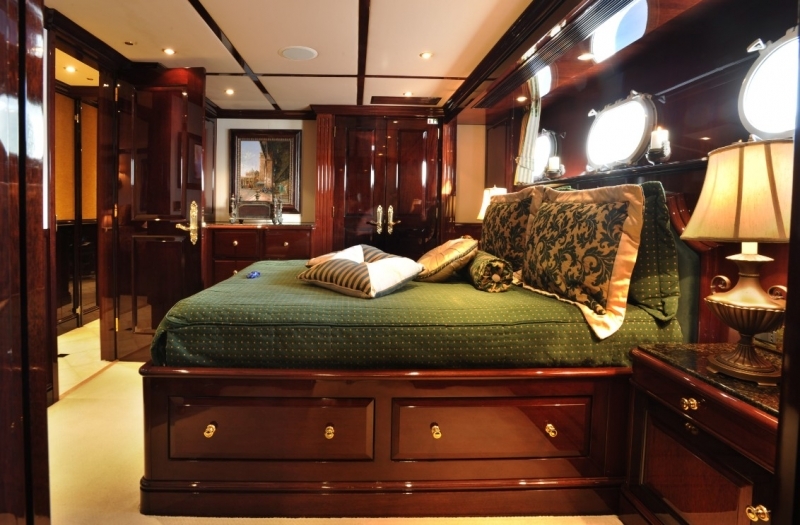 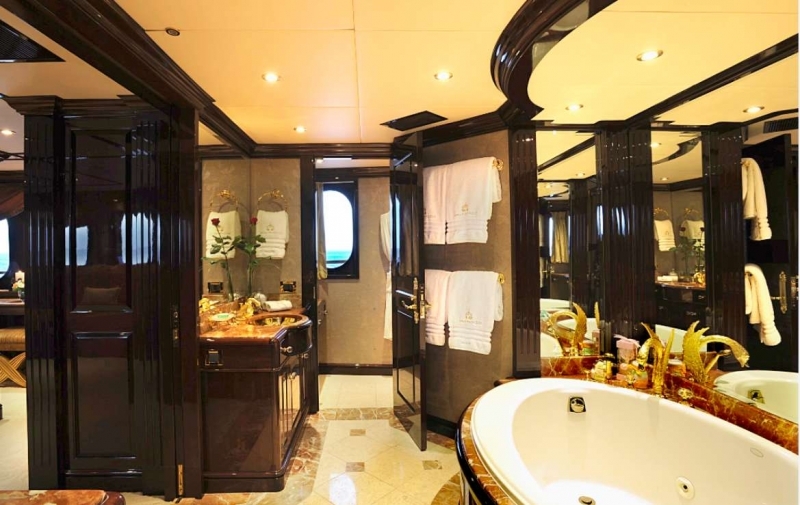 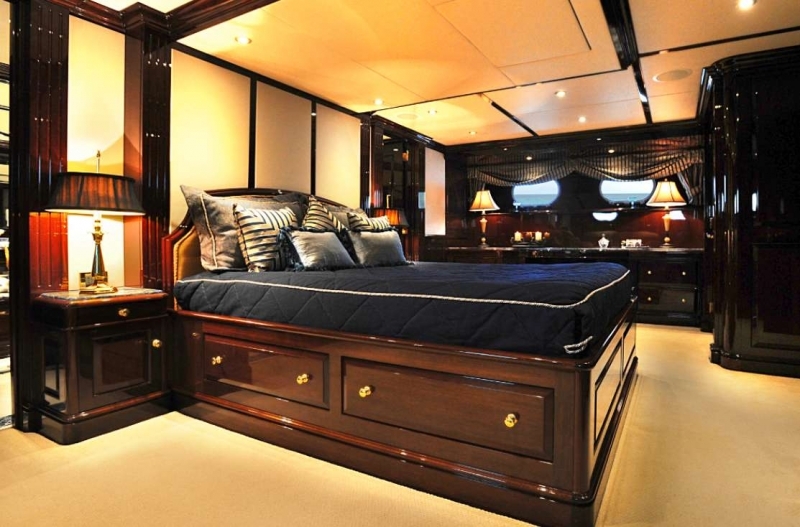 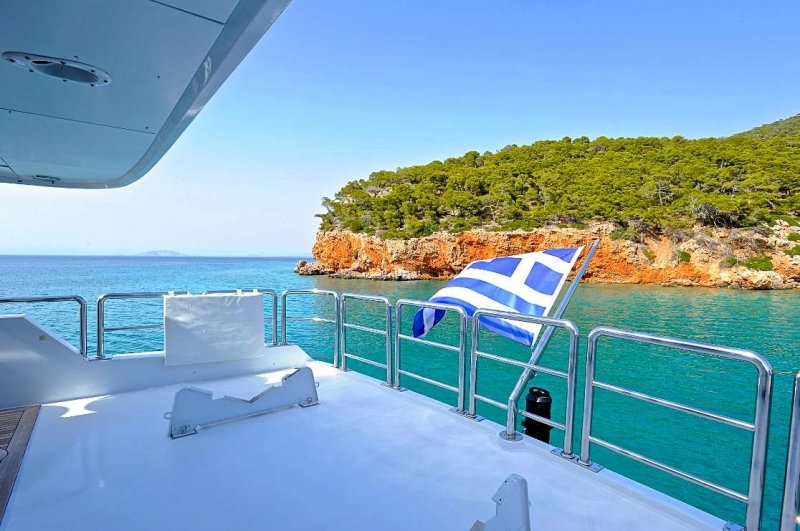 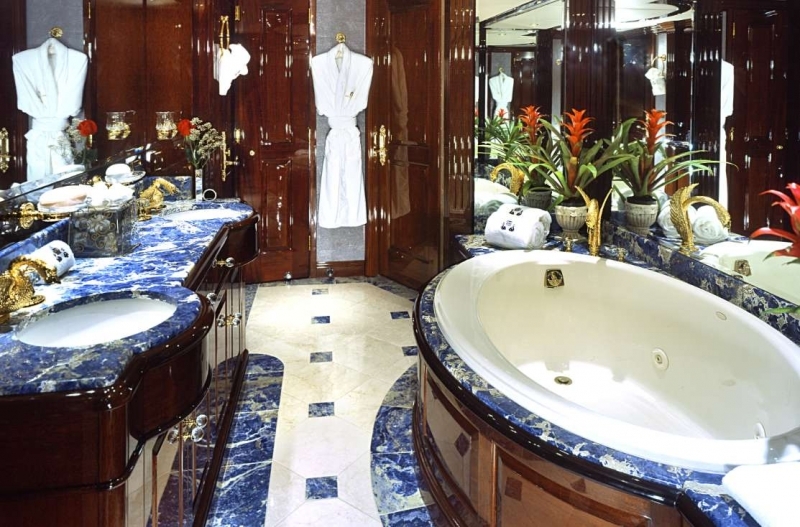 All of Ionian Princess’ cabins have ensuite marble bathrooms and state of the art entertainments systems. 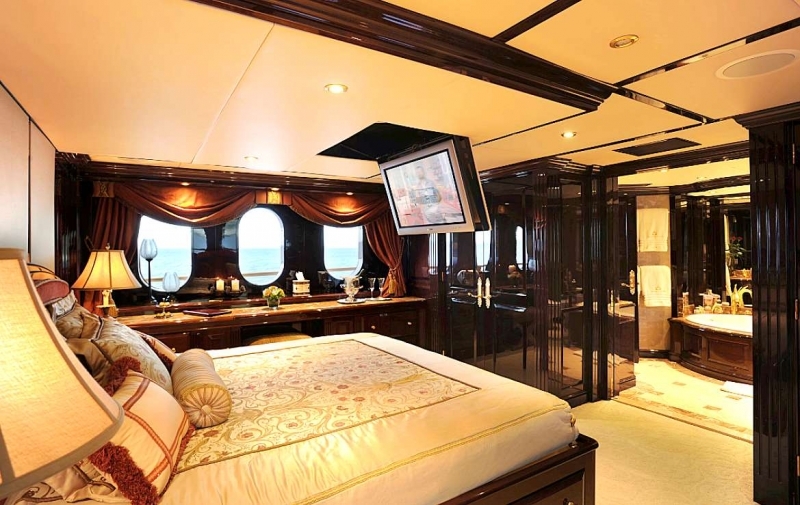 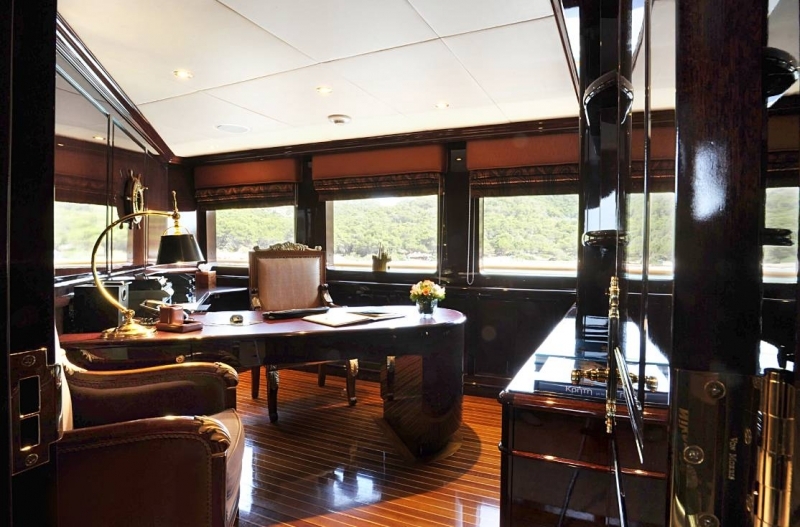 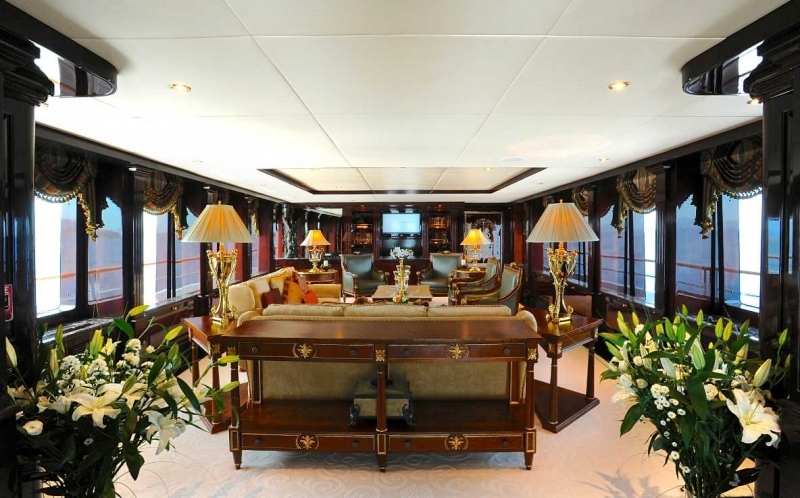 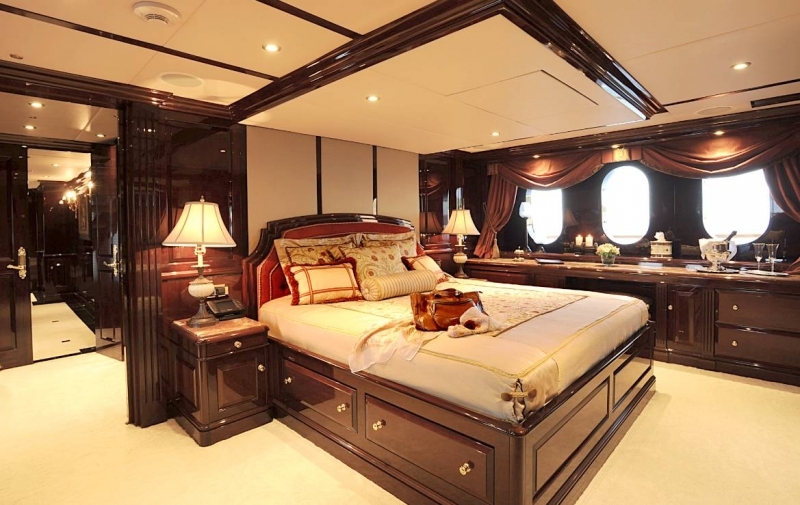 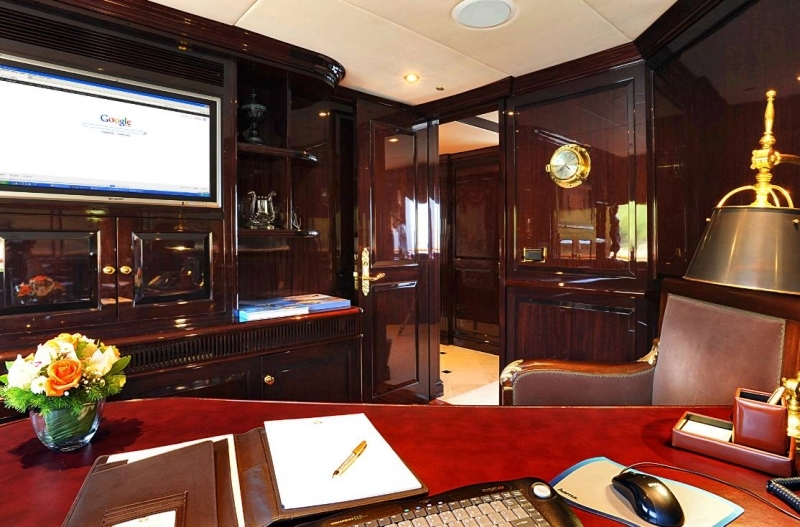 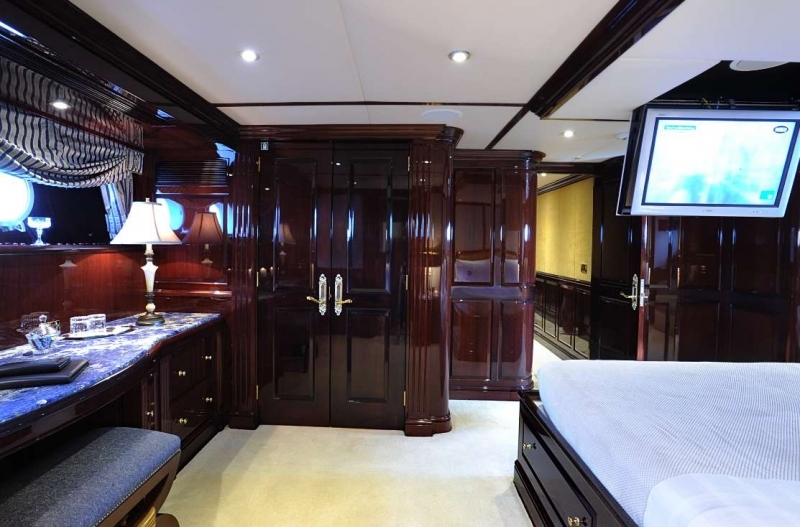 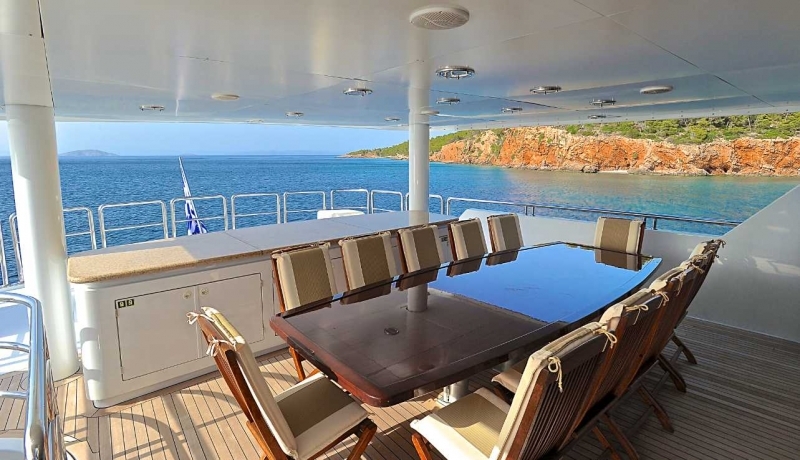 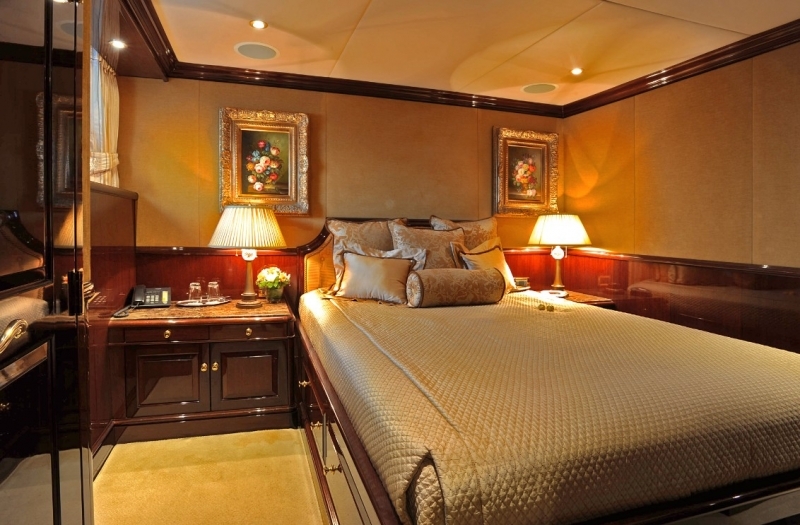 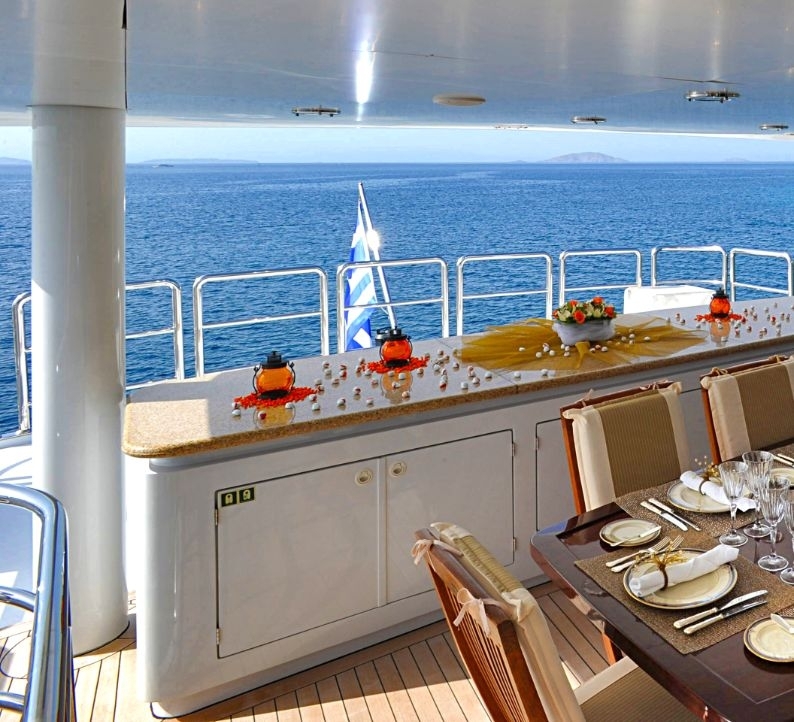 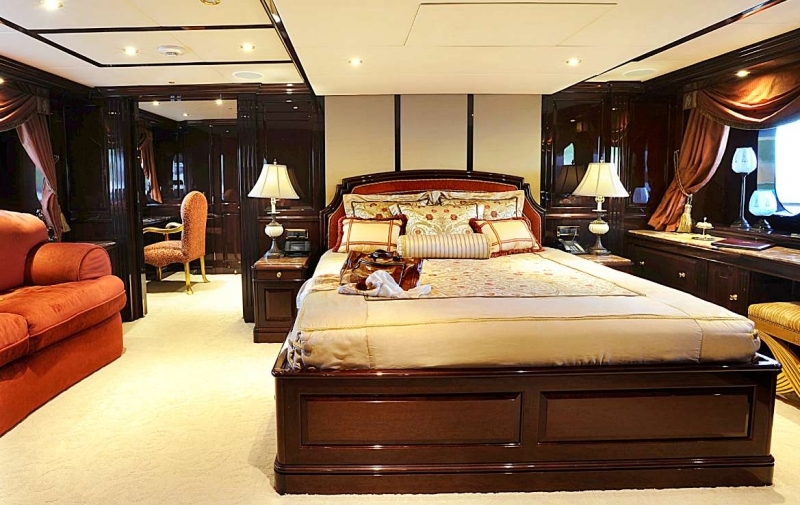 Ionian Princess' on-deck master cabin's suite includes a private office and his and hers heads. 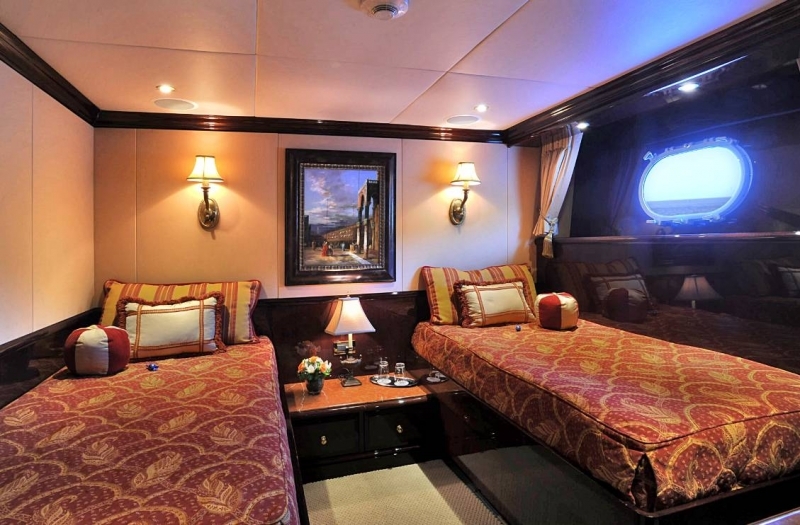 There is also a child's play room which is adjacent to the guest cabins on the lower deck. 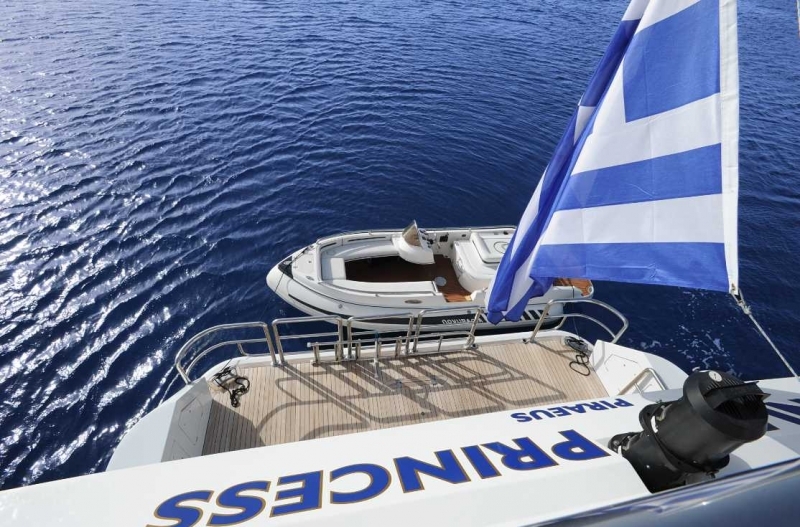 The Ionian Princess yacht is equipped with a stabilization system reducing roll and bow thrusters making her more manoeuvrable at low speeds. 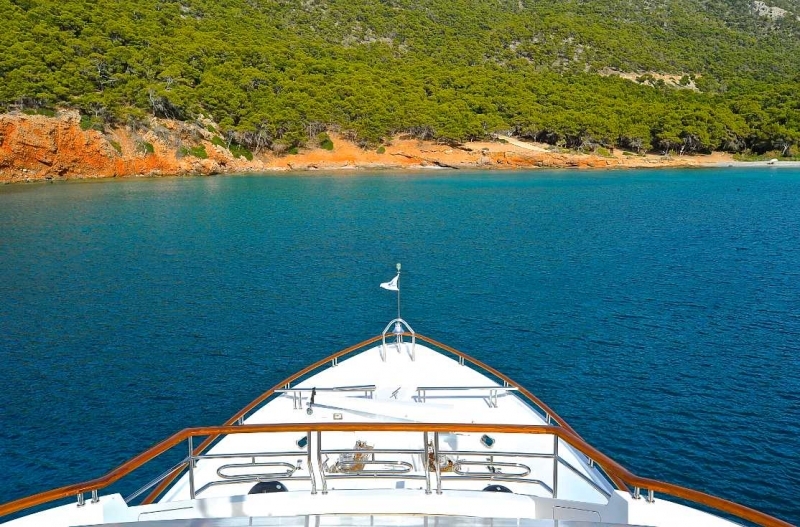 Ionian Princess is built to comply to MCA and ABS standards. 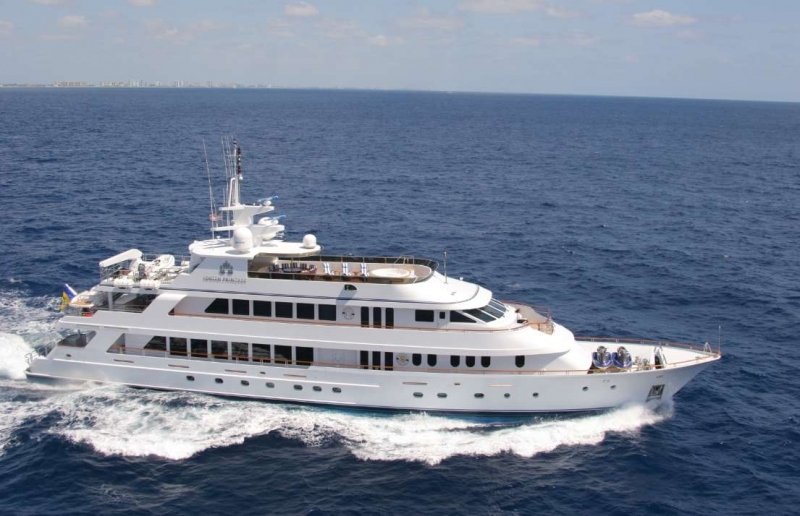 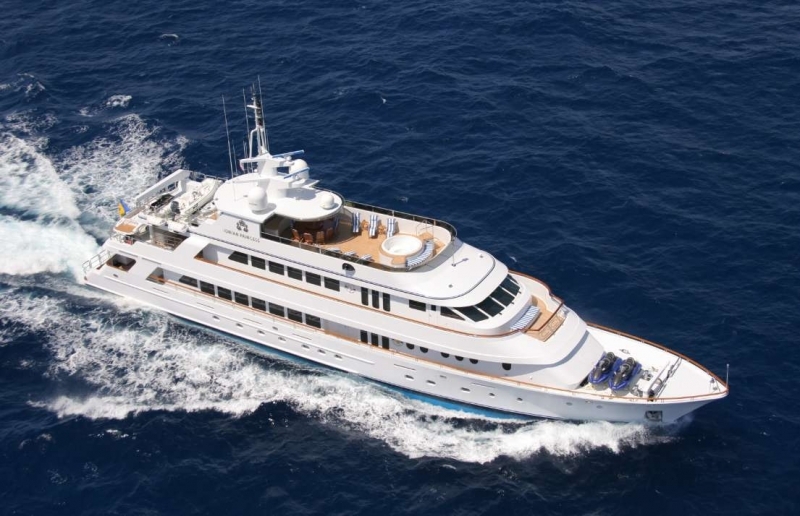 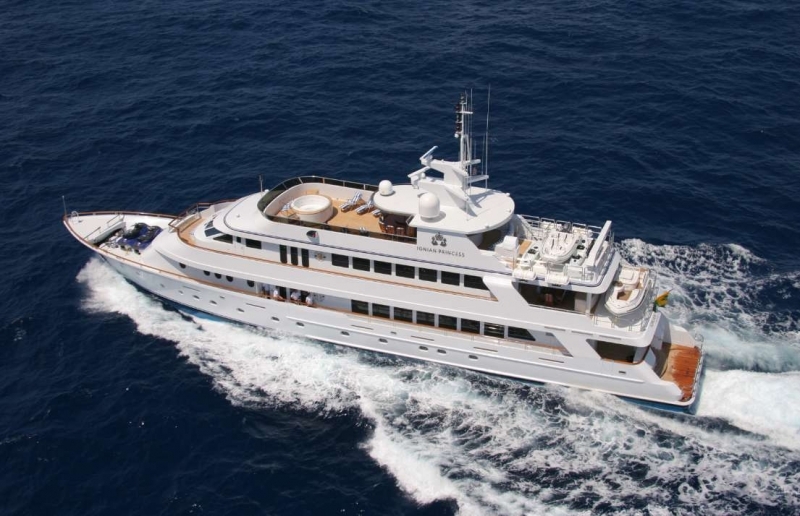 Ionian Princess has a grp hull and superstructure, a beam of 7.16m (23'5"ft) and a 2m (6'6"ft) draft. 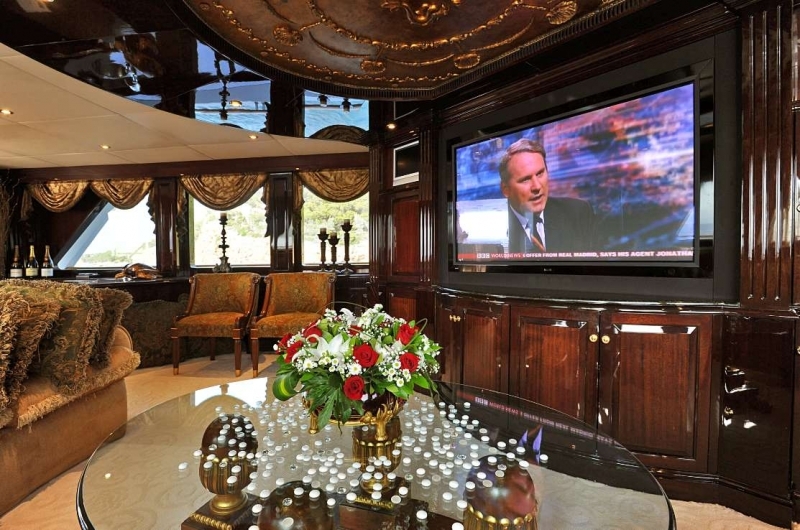 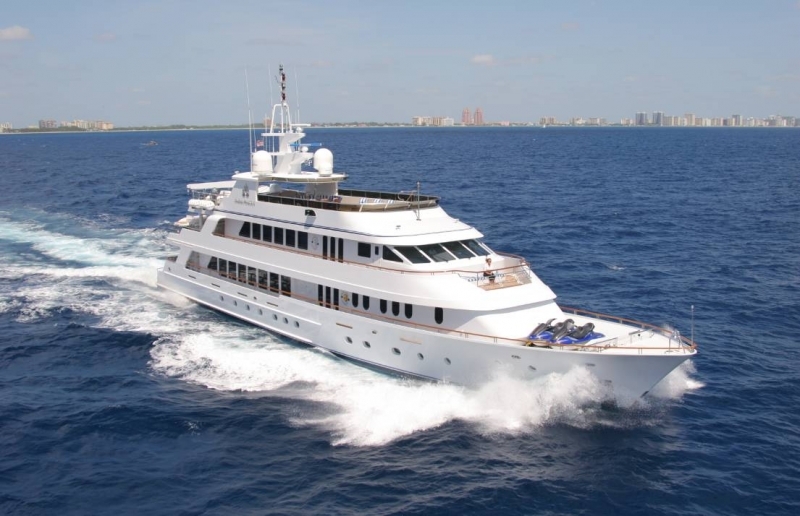 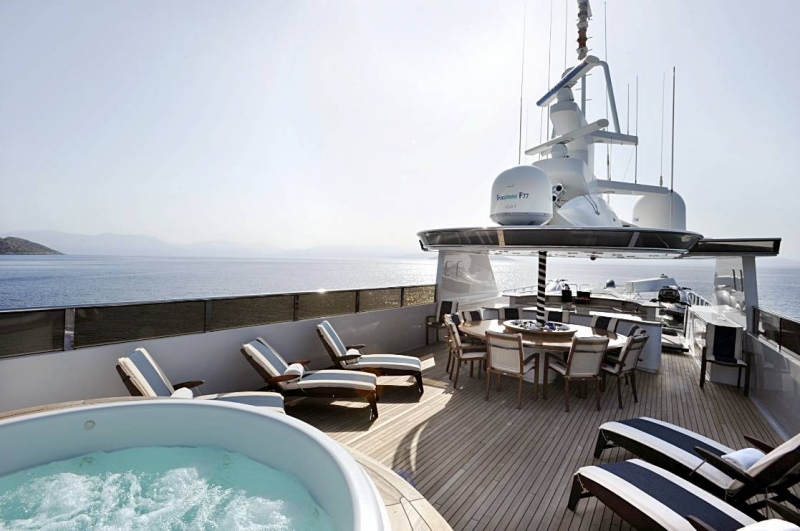 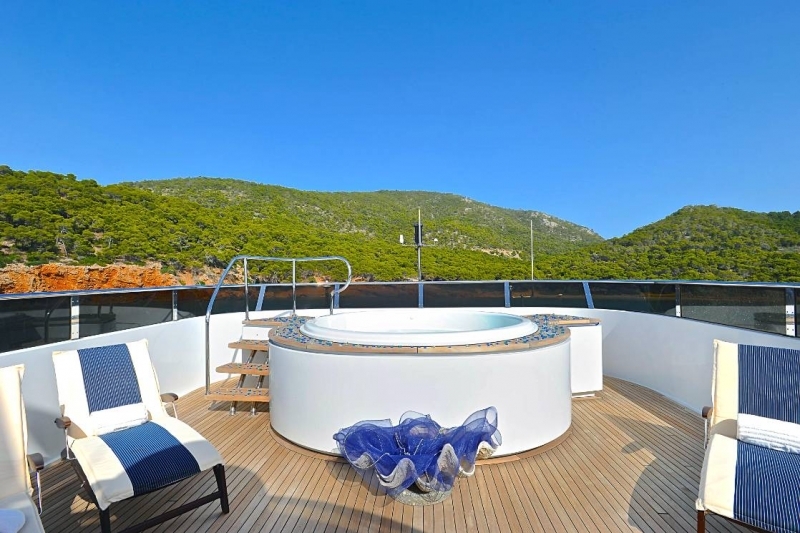 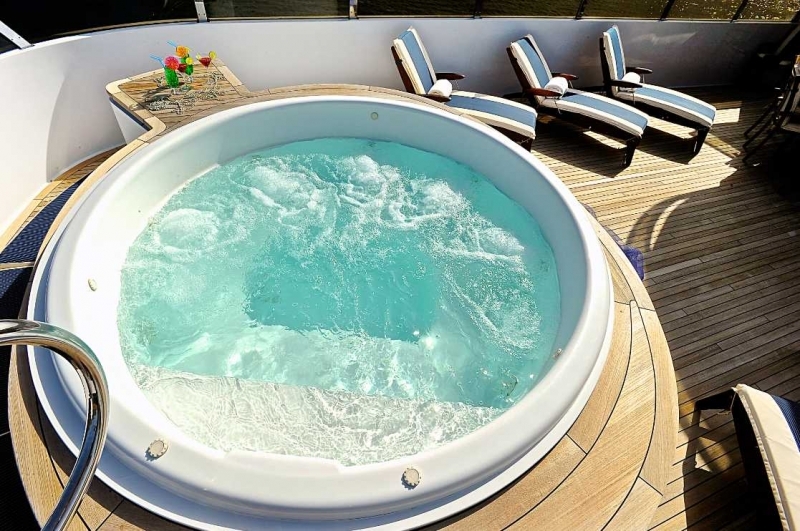 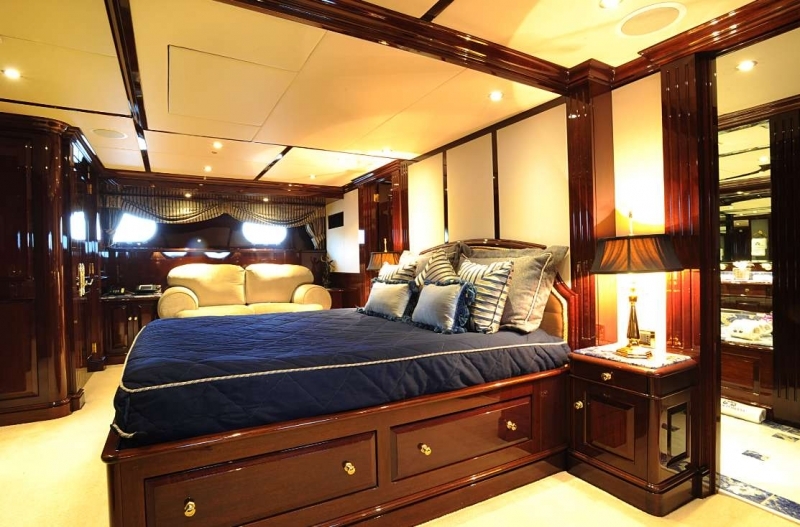 The vessel offers a number of amenities including a deck Spa Pool, extensive toys list and wifi internet.